Dashing through the snow Archive. It’s a busy time of year for Catalonia’s ski resorts right now, with people flocking to the mountains to enjoy some fun in the snow. Alpine skiing and snowboarding are by far the most popular snow-based activities, but recent years have seen alternatives, such as Nordic skiing and snowshoeing, increasing in popularity. 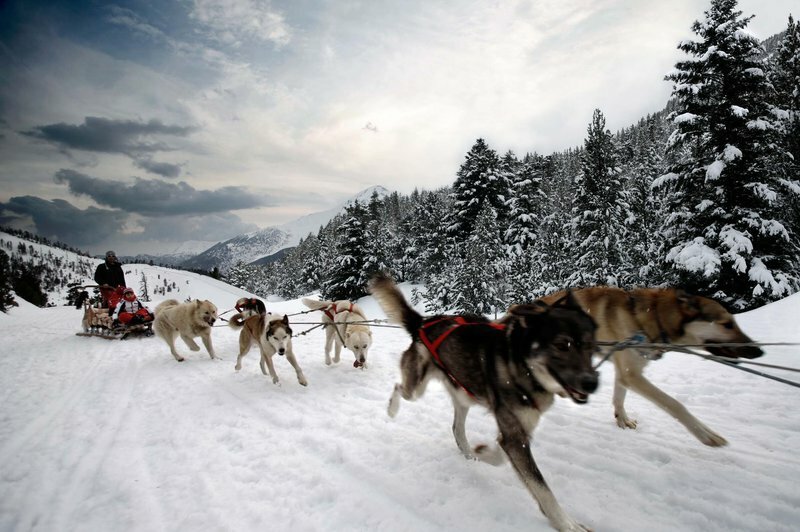 But the options do not stop there, as increasingly more Pyrenean resorts in Catalonia and Andorra are offering a unique experience in the snow in the shape of mushing. Mushing, or dog sledding, has been around for millenia, but it’s a relatively new activity in Catalonia, and certainly one most people will not have had the chance to experience. The good news is that in the Catalan Pyrenees you can now have a go at mushing in resorts like Espot Esquí, La Molina, Port Ainè and the Bosc de Viròs cross-country complex. However, sadly, the Pirena international mushing championship that was held for 22 consecutive years in the Catalan Pyrenees, and which saw 37 dog teams from nine countries competing, came to an end in 2012, although other mushing competitions do take place in some other places in Spain.